Are Gas Furnaces Or Electric Furnaces More Cost Effective? Furnaces have a great importance in people’s homes, whether powered by electricity or gas. If you want to know what type is right for you, you must take into account a few variables, including the size of your home, the required level of maintenance, the initial cost, the local fuel price and the eco-friendliness. Using these criteria, we will highlight the differences between gas furnaces and electric furnaces, to help you make an informed choice. Electric furnaces are significally cheaper than gas furnaces ($500-1000 compared to $3500-4000). Installation is also less expensive. 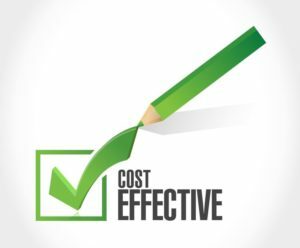 In this case, the operating costs of a gas furnace are 2.5 lower than of an electric model (this affirmation is based on the average prices for gas and power). Additionally, an electric furnace will cost you more if you have a bigger home. Modern gas furnaces are designed to last up to 25 year, but require periodic maintenance from an HVAC Denver CO company. On the other hand, an electric furnace will likely last longer and the maintenance is greatly reduced. When it comes to this aspect, none of the two types of furnaces is perfect, so deciding which one is best for you should rely rather on their efficiency and other criteria presented above. Next Next post: How Often Should You Really Change Your Furnace Filter?